The eVoice virtual phone system is built on the model of an incoming call answering service. Additionally, it uses the features of call transfer and find-me/follow-me to provide a virtual service with all the features of a professional PBX phone system. The eVoice service comes in four basic plans, which are referred to as Professional (Freelancer & Consultant), Workforce, and Small Business. (Workforce and Small Business are a combination of three pricing options and plans). This is voice’s single user version that provides a professional call answering service for freelancers, consultants, or businesses of one. The managed professional telephone system answers incoming callers on a single real business number – an existing, or an eVoice provided local or toll free number – with a professionally recorded greeting and a menu of options. The eVoice answering service then transfers (transparently) the call to one of two extensions, which are other real phones. The caller is unaware that eVoice has transferred the call to the freelancer’s personal smartphone or home landline phone, as they hear only music during the transfer. An unanswered call to an extension is diverted to voicemail, which then can be transcribed into text or sent as an MP3, will go via email. This not only projects an image of a larger professional company it also provides mobility as the freelancer is not tied to a fixed office phone and no calls go unanswered or are missed. The Professional price plan provides only two extensions, which isn’t enough as it allows for only two phones, perhaps a mobile and a home number, and 300 Monthly minutes at 12.99 per month. eVoice targets the Small Business plan at SMBs who have several employees (2- 25) working remotely from BYOD phones (Bring Your Own Device) such as smartphones, or home/client landlines. The eVoice Small Business plan is based upon ‘per user pricing’ and it has five or 10 extensions (3 phones per extension). The five and ten extensions per plan are a big improvement over the two extensions that come with the Professional plan as it allows greater flexibility and choice of options. However it really isn’t enough – not when you consider Grasshopper a major competitor has unlimited free extensions on every plan – however additional eVoice extensions are available but have to be bought at a premium. A very good feature of eVoice Small Business plan is that the extension plan can be set up to have one main auto attendant which will provide a list of extensions to the caller. However, subsequent extensions (users or departments) can also have their own sub-attendants offering another choice of extensions. This provides and makes possible the ability to configure a very effective hierarchal IVR system, which really does portray a large company image. One of the benefits of being in the Small Business plans is that you benefit from free inbound fax, VIP support and more minutes per extension. Most of the features that are available are common to all three classifications of product. 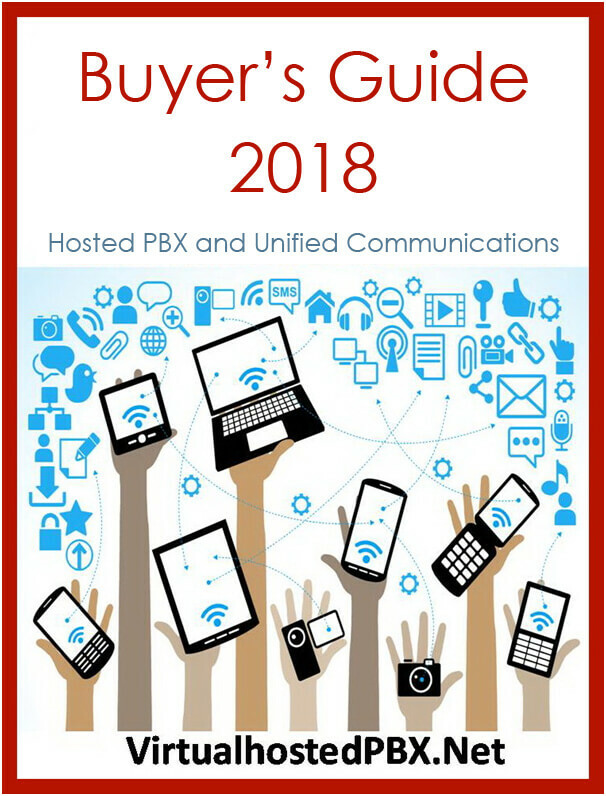 This is a better way to distribute features as most if not all are basic VoIP PBX features that cost no more or less. Where there VoIP services do start to charge however is when they venture out with the IP domain, for example with FAX. To have incoming fax it is no problem and all but the basic Professional plan comes without free incoming FAX. Outgoing Fax and calls however is a completely different matter. The big problem with all the virtual phone systems is how do they handle outgoing calls? Handling the incoming calls is fine and they all from Grasshopper, Ring Central and Nextiva do this with aplomb. The problem is how do these services handle outgoing calls? Handling outgoing calls with the same business number (caller ID) from a personal smartphone or home telephone obviously has some challenges. Grasshopper and the like use a cumbersome method of relaying calls through their call center whereby the caller ID is swapped for the business number. This may be very effective but is not convenient if you are doing many outbound calls per day. The eVoice solution is far more sophisticated and uses their outbound phone connection tool, which enables easy and direct relay without having to call through another call center. Another area where eVoice excels is with conference calling, or rather its capacity. Most virtual telephone systems have conference calling, Grasshopper and Nextiva as well as Ring Central, so it is an expected feature. The difference with eVoice is the capability, where Grasshopper provides a conference bridge for ten simultaneous calls – which is plenty in most cases – eVoice provides a facility to support up to ninety-five concurrent participants – and that’s outrageous. Astonishingly for a further payment, eVoice can provide a platform that can support 2000 simultaneous participants on an audio conference call – that’s useful on a daily basis. Mobile apps are an almost essential feature now and so unsurprisingly, eVoice has an app that runs on both IOS and Android. The benefit of the mobile application is that it allows you to do outbound calling whilst using the business number rather than the mobile phone number. Similarly, eVoice has an outbound service (telephone user interface) that allows landlines to do the same thing but without the hassle of having to relay calls through a call center, which is the case with Grasshopper. Another feature that is not always present with basic virtual incoming telephone services is the web site click to call buttons. eVoice supply the code that can be added to any website that allows a customer to ‘click to call’ the main business number via VoIP so it is a welcome and very useful tool that is also free for the customer. Outbound fax is a premium at $1.95 per month and there is also option such as having voicemail transcript by a computer or a human. The eVoice service has some very interesting features that make it stand out from the competition like Ring Central Professional, Grasshopper and Nextiva Professional. The one I liked best was the ease to make outbound calls on both the mobile app and on a configured landline. There was no messing about having to call a data center then having to relay a call from their in order to show the business number as the caller ID. This is a major point as it is okay, once in a while, going through Grasshoppers convoluted method of making out bound calls but when you are making many a day it soon becomes an extremely tiresome task. Another strong point is that voice’s over charge minutes are cheaper than most of the competitors rates at roughly 3.9 c additional minutes compared to Grasshoppers 6c per minute. Additionally if you can find a use for a 100 or 2000 participant call conference bridge then this is another winning point for eVoice that leaves an PSTN overlay network such as Grasshopper unable to compete. However as we have discussed earlier it is not all-good news, eVoice’s restrictive policy on extensions limits the scope of the telephone system to scale as the company grows. Extensions can be bought or plans like Mobile Workforce with its pay per user plan could be an answer, but it does look good when compared side by side with Grasshopper and it unlimited free extensions (users & departments). eVoice also has for some inexplicable reason, decided to allow call hunting whereby all phones assigned to a shared extensions can be rang in sequence, in a configured order of priority, till one answers or all phones can be rung simultaneously – yet not permitted round-robin call allocation that will distribute calls evenly between extensions. This is usually a minor point, but in a sales office, it can be seen as a prerequisite in any PBX. What is DNS- Domain Name System?